As I wake up in my cozy little suite in Lausanne, it is already 9 in the morning. I take a second shower in this room and off I am. I slept in on purpose, because when I am tired I can’t really hike. 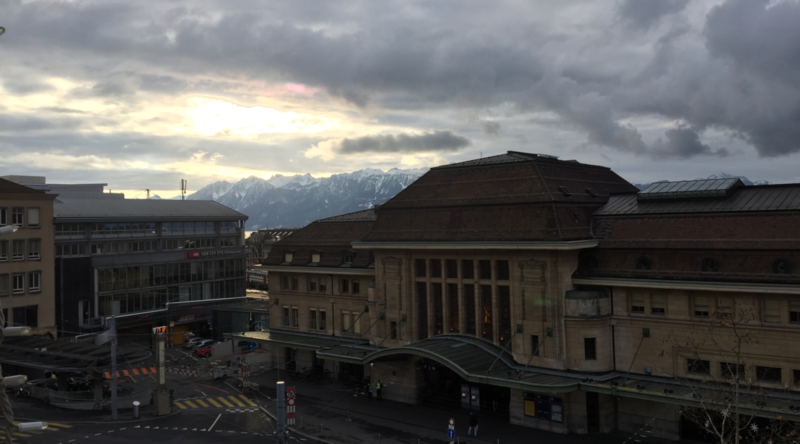 The railway station in Lausanne isn’t at the level of Zurich or other bigger stations. It is dirty and run down. We are still in Switzerland, a project for restoring and rebuilding this huge station is already in place. The train takes another 40 minutes up to the mountains. I followed these tracks for more than half an hour. Probably a deer-couple. Unless I will find established tracks, it will be a short day. I can’t afford to walk like yesterday. It was just too slow, and I didn’t like it. While it can be pleasant to walk through nature with snow shoes, for me it was just a lot of work. My shins also didn’t like it. From last time I had shin splints I however know, that there is a small window between the activity that triggers it and the actual point where you simply can’t walk anymore because you can’t control the muscle anymore. It just feels like it would be blocked. For today they should still be fine. My CEP – the cheap emergency pack. Considering the price of an MLD Burn it is still way overpriced. It is a hassle to fix the snow shoes to my cheap emergency pack. 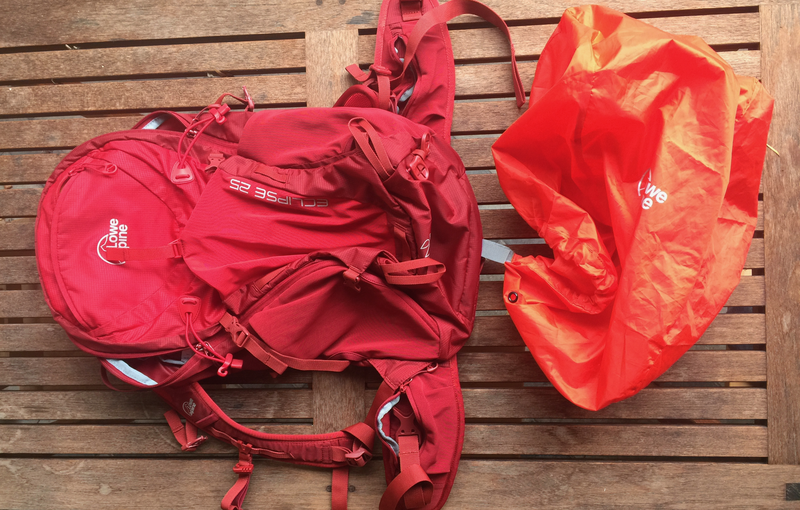 I got rid of my Salomon pack because everything hurt, and the build quality was so cheap that I was afraid some seams could tear. My emergency pack is super goofy. It has all these features who are apparently necessary to sell packs these days in huge numbers to as many consumers as possible. I was vaguely promised a pack by CIMORO but so far nothing has materialized. I can fully understand that. I met the clever young man behind CIMORO once. He is designing gear for bigger companies for a living. Unfortunately, he has to follow strict budgets and to use cheap materials. We met in Transa, which is a little bit ironic since in Transa you can get all the heavy crap he hates in the first place. He clearly knows what he is doing, and he is not the kind of person who simply had a go on the sewing machine. He learned how to do it at serious school. Of course, I also wrote to Pa’lante because I would like to get their vest-styled pack but so far, again nothing has materialized. I think at the moment I will fill an order at MLD, but I heard that they have impressive lead times. Interesting was also superior wilderness designs. He promised me to get in touch, that was in May, now it is December. I really would like to have a simple and lightweight pack with 35 liters capacity. It should not bounce when I run. Now however I can’t run at all. Of course, there are no tracks in the snow. I am happy to do road walks. Way too soon we are back at height and there is again way too much snow. They had a kind of faire down in Vallorbe so the entire town is attending there. No one took a walk earlier in the morning. Near the ridge line on top there is however an established snow shoe track. Too bad the snow isn’t yet firm enough to allow for walking without snow shoes. People with skis are overtaking me. I search for an exit point. Thankfully I am near Le Pont a little town in the Vallée de Joux. 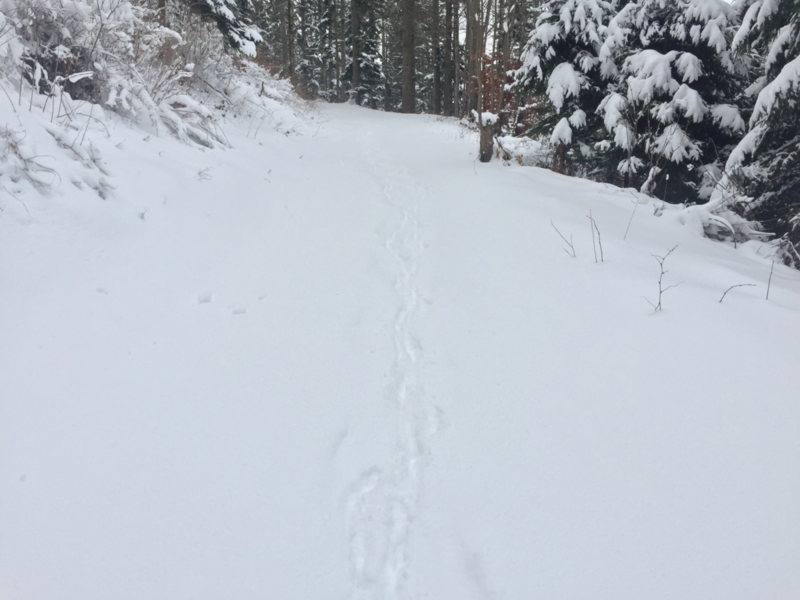 It was the first time I tried to push big miles with snow shoes and while I am thankful for the experience I would not attempt it on a thru-hike. If let’s say the Sierras require snow shoes, I would skip forward. The penalty in slowness and the effort do not reasonably match each other. There are still some miles to the end of this trail but I have to wait until the snow melts to push miles. Without snow, I am able to do more in one day than what I managed to do with snow in two days. And thankfully the side trail down to Le Pont is part of the Jura Crest Trail.